The low-sitting nose is one of the most prevalent characteristics of the Asian population. Overall, the entire nose (i.e., the bridge and tip) is low. 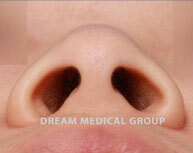 This type of nose gives creates a plain-looking face that lacks definition. Additionally, the nasal bone and cartilage are small. The small, low-sitting nose makes the nose looks relatively wide. 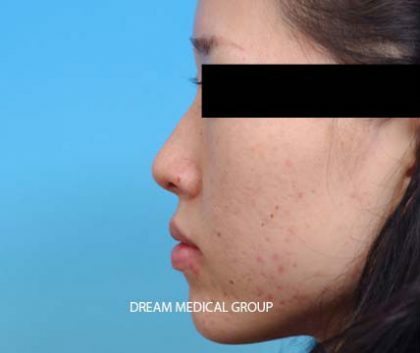 1 What is Rhinoplasty Augmentation? 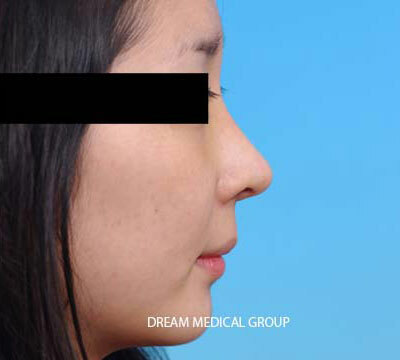 Rhinoplasty augmentation is a procedure that raises the dorsum (bridge) of the nose using implants, while the tip is defined through the use of a cartilage graft. The overall facial dimension, nasal bone height, and nasal bone width is determined carefully during consultation in order to ensure a natural-looking, proportional nose is produced. In-depth knowledge and proper use of silicone graft is essential to producing successful long-lasting results. Silicone has been used by plastic surgeons for many years and continues to be a popular grafting device all over the world. In rhinoplasty, silicone is often used due to its flexible properties, which make it easy to contour and shape the nose. Additionally, silicone also provides the advantage of being easily removable. However, silicone implants on the nose have to be used with care. 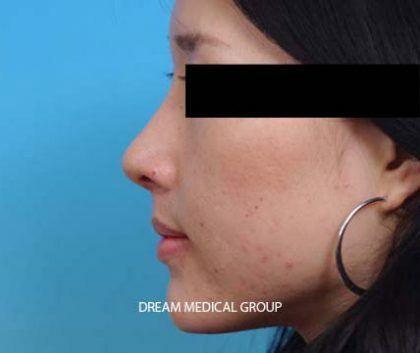 Excessive augmentation to shape the tip of the nose places large tension at the nose tip, resulting in possible implant visibility, extrusion, and scar formation. In addition, improper placement and handling may lead to silicone graft movement, infection, and nasal shortening. Dr. Kim uses his customized implant for all of his patients. 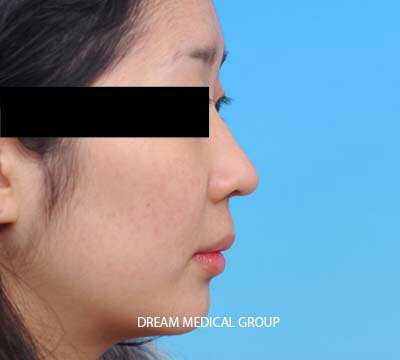 Dr. Kim utilizes MedPor to provide strong support at the nasal tip, while using ear cartilages to shape the nasal tip. Ear cartilages are soft structures that supports the new shape of the nose while reducing the tension formation at the tip. Adequate utilization of the cartilages can change the angle of the nose for natural-appearing results. The surgery may take place under local anesthesia and oral sedatives. The degree of swelling may depend on individual patient, but the swelling is most severe during 1-2 days after the surgery, which will subside rapidly for first 10 days and gradually next 1-2 months.